This week is the final week of our study on God’s will, as well as the second part of our Q&A. May the love of Christ dwell in you richly! A: There are several reasons why it is vital to pay close attention the advice and warnings of authorities, especially as young people. First of all, parents have a God-granted place of honor that is not optional (Eph. 6:1-3). Obedience to authorities (unless they command you to sin) is God’s will–no subjectivity there. For adult children out of the home, parents’ advice should be respected, even if the final decision is up to the grown child. In most situations–even for adult children–listening to those authorities is the wisest course of action. A: Desires themselves are not inherently sinful or harmful. Because we are redeemed sinners, we know we have to be careful of sin creeping into our dreams and wishes, but just because we want something does not automatically exclude it from God’s will. While God’s primary concern is for our Christ-likeness, not our comfort, He does want us to face life with joy and appreciate His gifts (1 Tim. 6:17; James 1:17). That said, your question seems to be about motivations. Ask yourself why you want one choice or the other. If you are motivated by fear, anger, jealousy, or another sinful emotion, that is a sign that you need to surrender that area to God–but not necessarily that it is the wrong choice. Confused? Here’s an example. Suppose my church’s music leader asked me to play piano for the congregation during services. My immediate thought might be, “Oh, I often get a big head when I play in front of people. Since pride is sin, I shouldn’t accept this position.” A better approach would be for me to confess the pride, pray for a right attitude, and take up this service, if that is a wise course of action within my other circumstances and responsibilities. Another key thought is that our desires are conformed to be more like Christ as we pray and spend time reading the Bible and attending a faithful church. You don’t have to worry about turning up the label on each little desire and seeing if it’s marked “God’s desire” or “my desire.” You can examine a desire by comparing it with Scripture. God desires that you serve and grow in Him through a relationship with His Son, loving Him and those around you–it’s that simple! If you are faced with equally wise options and one would make you happy and the other will make you miserable, go with happy! God is not anti-happy, just anti-sin. “The will of God isn’t a special direction here or a bit of secret knowledge there. 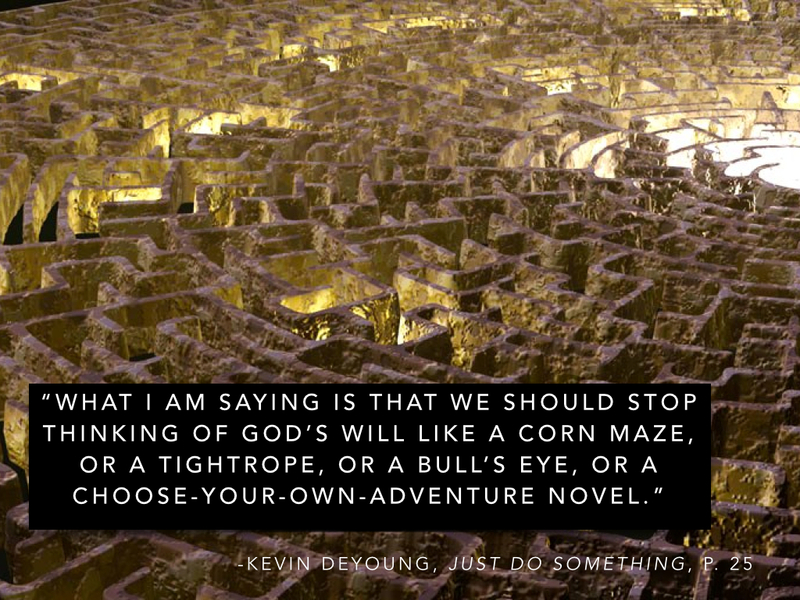 God doesn’t put us in a maze, turn out the lights, and tell us, ‘Get out and good luck.’ In one sense, we trust in the will of God as His sovereign plan for our future. In another sense, we obey the will of God as His good word for our lives. In no sense should we be scrambling around trying to turn to the right page in our personal choose-your-own-adventure novel. “God’s will for your life and my life is simpler, harder, and easier than that. Simpler, because there are no secrets we must discover. Harder, because denying ourselves, living for others, and obeying God is more difficult than taking a new job and moving to Fargo. Easier, because as Augustine said, God commands what He wills and grants what He commands. “In other words, God gives His children the will to walk in His ways—not by revealing a series of next steps cloaked in shadows, but by giving us a heart to delight in His law. Today and next week, we’ll continue to learn about God’s will with a Q&A. I pray these things will spur you on toward knowing our amazing Savior! Blessings, my sisters! Often the problem is that people think they’re supposed to find out an exact choice that is stamped with “God’s Will,” when God never promises or even ASKS us to do that. The Bible doesn’t tell us the procedure for interpreting feelings of peace, nor does it give us an index of dream interpretation guidelines. Scripture rarely gives special revelation about an individual’s path, and even “super-Christians” like Luke (Gospel of Luke 1:3) and Paul (1 Thess. 3:1-2; Phil. 2:25-26) appear to have made many decisions based on what seemed like the good or right thing to do at the time, not on a heavenly revelation (see Decision Making and the Will of God, pages 168-169). So, if there’s no solid measuring stick of what is supposedly “God’s will” or not (according to the subjectivity of the modern view), people will get confused. They will say, “Here’s God’s will,” and then a few months later say, “No, that’s not it–there it is!” A better thing for us to do as Christians is to say, “I believe this is the wisest decision” or “I think this will be best,” but not put God’s reputation on the line for a decision we make. It’s easy to shift the “blame” for an unpopular choice onto “God’s will,” but, sorry, that’s not a Scripturally-based idea. As long as there’s nothing in the Bible specifically commanding your decision, you’ll have to defend it yourself. I believe it is very dangerous to affix God’s approval to something unless He has signed it Himself. Fear of “getting it wrong” can hold people back too. But, according to the Wisdom View of God’s will, we can’t just sit around waiting for divine messages. We’ve already been given the Divine Message! We have our marching orders! If the choice is 1) morally right and 2) wise, then we can choose it. Q: So is the Wisdom View just about logic? It doesn’t sound very spiritual. Only a Christian can make decisions that please God! If you want to do God’s will, the first order of business is to be His child, yielded to His plans. First, find out if there is a command for your situation. If not, what is the wisest thing to do? Just because God will most likely not speak to you in an audible voice doesn’t mean He doesn’t care about your decision. As you walk more closely with Him, you will grow in wisdom. Since you (hopefully) aren’t praying for writing in the clouds, what should you pray about? There are so many things: ask God for wisdom to choose well (James 1:5-8), pray that God would be glorified by your decision, pray for God’s working in your heart and in the hearts of others. “Where no counsel is, the people fall: but in the multitude of counsellors there is safety” (Proverbs 11:14). Wise advice, especially from spiritual authorities or strong Christian friends, is key! Conferring with parents, leaders, and mentors is a great way to keep yourself accountable for your decisions. Last week I left you with a bit of a cliffhanger, didn’t I? We discussed the problems with the way most people view God’s will, but we didn’t learn much about another option, a more Biblical option. This week we’ll look at this option, and next week we’ll talk about practical decision-making using this Biblical pattern. Instead of looking to the subjectivity of the signs and impressions to discern God’s path, there is an alternative: the Wisdom View. If God tells us to do something, we should do it. If God has not commanded us not to do something, we are free to do it. If our choice is wise and within God’s commands, we have to make a decision and trust God for the results. If the Bible said, “Cars are evil inventions that no child of God must own,” then we would be out of God’s will to buy a car. But since it doesn’t, we are free to go out and purchase a vehicle to help us function in our God-assigned roles. So–that leaves Moral Will (Luke 7:30; John 9:31; Romans 12:2; Colossians 1:9; 1 Thess. 4:3-5) and Individual Will. The gist of the Wisdom View is that there is NO Individual Will of God, in the sense of something God wants us to find out ahead of time. While God cares for us deeply, personally, and individually, He does not dictate every movement to us. That’s where His Moral Will and wisdom enter the scene. This is such a relief! I don’t have to worry about God’s sovereign plan. He’s got that covered. I don’t have to worry about a fictitious individual route to be deciphered. All I have to do is “follow hard after God” (Psalm 63:8) through the saving work of Jesus, seeking to please Him by doing the things He does make clear in the Bible. The key to the Wisdom View is that we don’t have to jump through spiritual hoops–or sit around waiting for a vision from heaven–to please God. We just seek Him. That is His will. “Now, a happy truth too often overlooked in our anxious search for the will of God is that in the majority of decisions touching our earthly lives God expresses no choice, but leaves everything to our own preference. Some Christians walk under a cloud of uncertainty, worrying about which profession they should enter, which car they should drive, which school they should attend, where they should live and a dozen or score of other such matters, when their Lord has set them free to follow their own personal bent, guided only by their love for Him and for their fellow men. “On the surface it appears more spiritual to seek God’s leading than just to go ahead and do the obvious thing. But it is not. If God gave you a watch would you honor Him more by asking Him for the time of day or by consulting the watch? If God gave a sailor a compass would the sailor please God more by kneeling in a frenzy of prayer to persuade God to show him which way to go or by steering according to the compass? “Except for those things that are specifically commanded or forbidden, it is God’s will that we be free to exercise our own intelligent choice. The shepherd will lead the sheep but he does not wish to decide which tuft of grass the sheep shall nibble each moment of the day. In almost everything touching our common life on earth God is pleased when we are pleased. He wills that we be as free as birds to soar and sing our Maker’s praise without anxiety. God’s choice for us may not be one but any one of a score of possible choices. The man or woman who is wholly and joyously surrendered to Christ cannot make a wrong choice. Any choice will be the right one. Based on the Wisdom View, our top priority is to do the things God commands. After that, we have a huge area of freedom to choose. Are you excited yet? I am! This is a beautiful balance: acknowledging God’s authority and control, while taking responsibility for our actions. Don’t take my word for it–search the Scriptures to see if what I’ve said is true (Acts 17:11)! Read up on the subject from both perspectives. (From the Wisdom View side, I’d highly recommend the books I mentioned in last week’s post.) Respect your conscience and be fully convinced before you act on what you’ve learned (Romans 14:5,23). Through this series on God’s will, I pray that you will truly “be filled with the knowledge of His will in all wisdom and spiritual understanding; that you may walk worthy of the Lord, fully pleasing Him, being fruitful in every good work and increasing in the knowledge of God” (Col. 1:9-10). This is my desire for you, my sisters. It is my hope that you be freed by this wisdom-based perspective, embracing the future as an adventure to serve our great God! Stay tuned for next week’s Q&A on practical decision-making! Robert Frost and I both have wondered about which road to take. How about you? Agonizing over decisions–past, present, or future decisions–knowing that choices have consequences and wanting with all our hearts to choose a path we won’t regret. As Christians, you and I have an even greater concern–doing what God would have us to do. Finding God’s will is daunting in a complicated world–paralyzing even. With alternatives that “pile up sky-high” and well-meaning advice in abundance, it’s often easier to just stay put instead of risking making the wrong decision. Recently, I noticed that a lot of my friends–men and women alike–are struggling with finding God’s will. I started to ask around and read a few books–and I made a discovery! I discovered that most of us suffer from a misunderstanding of what God’s will really is. Over the next few weeks, I’m going to explain the problems with the modern–and quite prevalent–view of God’s will, present a more Biblical option, and explain how we can apply this better view to making decisions. Sound exciting? I think it will be! As we get going, I hope you will comment, sharing your experiences and questions about God’s will. If all of you send in enough questions, I might even do a Q&A post featuring YOUR questions about finding God’s will for your life!! Comment away! This seems to be the crucial moment for many of us. Our entire futures hinge on the paths we choose in the next few years. What college major? What job? What ministry, new town, person to marry, church to attend? Well-intentioned neighbors start asking, “What are your plans?” It can get overwhelming, especially when clear direction doesn’t seem to be falling from heaven when we need it. My goal is to give you some hope. There is a way out of all this frustration. As I’ve examined the facts, I am convinced that there is a way to get free of the confusion and doubt and guilt. We don’t have to have writing in the clouds, wet fleeces, gut feelings, signs from heaven, or anything like that in order to make choices that please God. 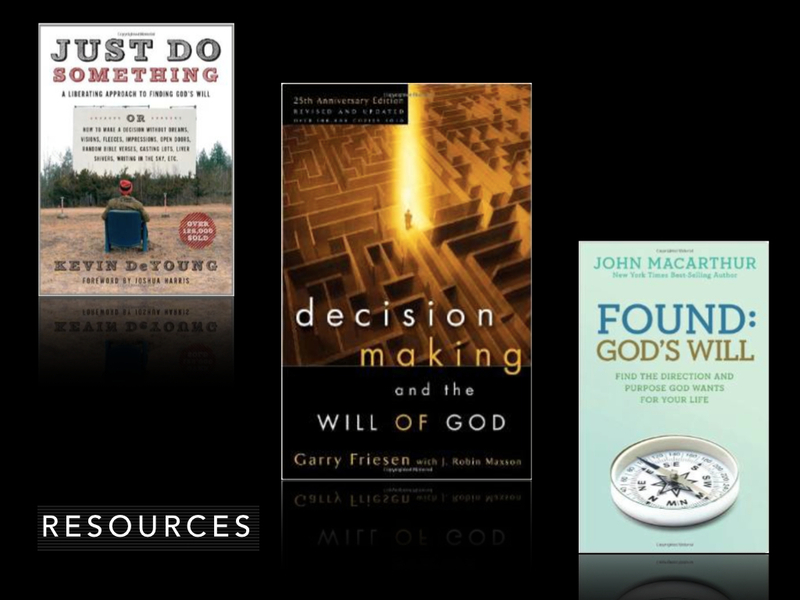 As I prepared for this post, three books shaped my opinion on God’s will: Decision Making and the Will of God by Garry Friesen and J. Robin Maxson, Found: God’s Will by John MacArthur, and Just Do Something by Kevin DeYoung. I am indebted to these theologians for the content you are about to hear. Check out the bottom of the post if you’re interested in learning more about these resources! Why NOT the Modern View? This might surprise you: there are actually three kinds of Gods’ will that theologians discuss. God’s sovereign will is His secret plan for history that no one knows until it happens. This is unchangeable–everything that has happened, happens today, and will ever happen. God has it all in His hands. What comes to pass is His will, His sovereign will. For centuries, these were the only two kinds of God’s will that Christians considered. However, over the last several generations, people have become concerned about a “individual will” of God that each person has to somehow decode. 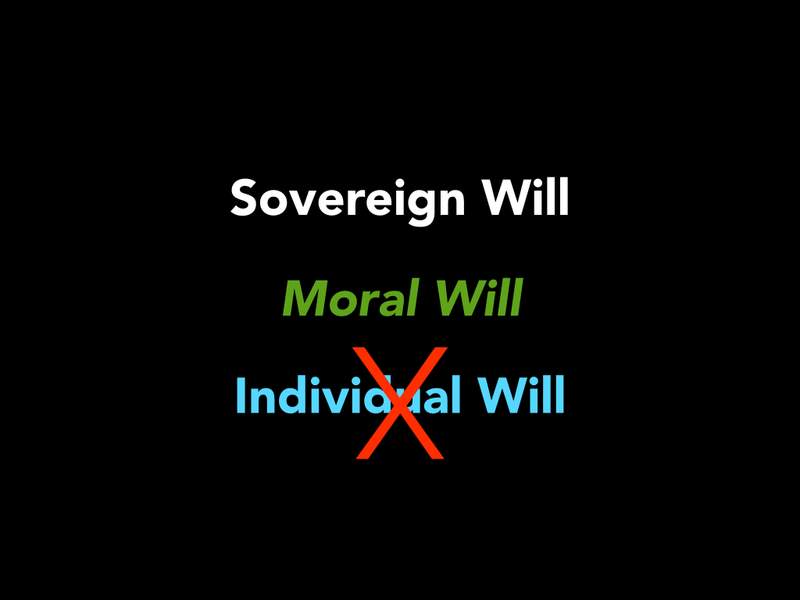 This “individual will of God” concept is so dominant today that most of us grew up with the idea. On closer examination, the modern view is actually full of inconsistencies, encourages guilt, doubt, and frustration, can be distracting, and has little Biblical support. First, what is this Modern View? It is that God has a perfect plan for our lives that He expects us to figure out in order to have success. This individual will of God can, according to proponents, be found through circumstances, counsel, impressions, feelings of peace, signs, and sometimes even casting lots! “In the conventional view of God’s will…we get the impression that He not only hides His will from us, but He then expects us to find it. So we obsess over God’s will of directions, eventually getting frustrated with God for not showing us what He wants. We end up disappointed with ourselves or angry with God because we can’t seem to figure out how to find God’s will for our lives…..
Let’s start with what the Bible has to say about this idea. First, there’s a hefty amount of good teaching in the Modern View. It’s not totally wrong, and it’s not outside the realm of Christian thought. We aren’t heretics if we believe this way. God does have a beautiful plan for each of us, down to every detail, like the number of hairs on our heads. But there’s also an assumption there—that we have to decode this mystery path in advance, or at least in advance of each step. Does the Bible suggest that this should be done? What about faith? What about trusting God for what we can’t see? Another problem with this modern idea of God’s will is that it can be terribly distracting! 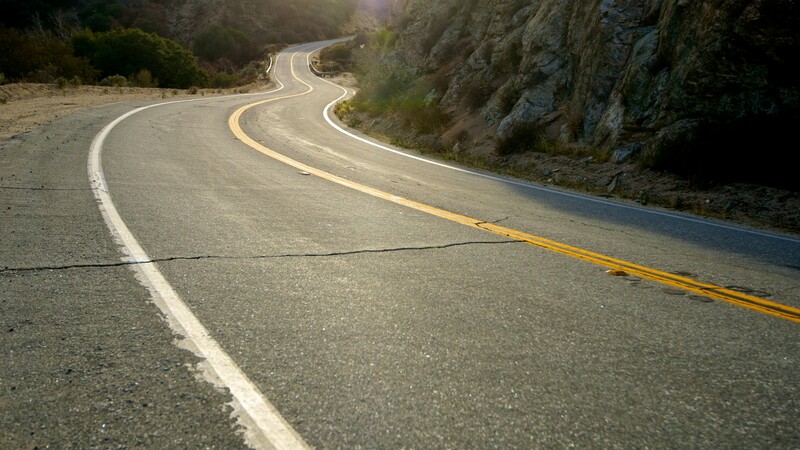 Ironically, a concept meant to ensure obedience to God has turned into a roadblock to doing what God wants of us. 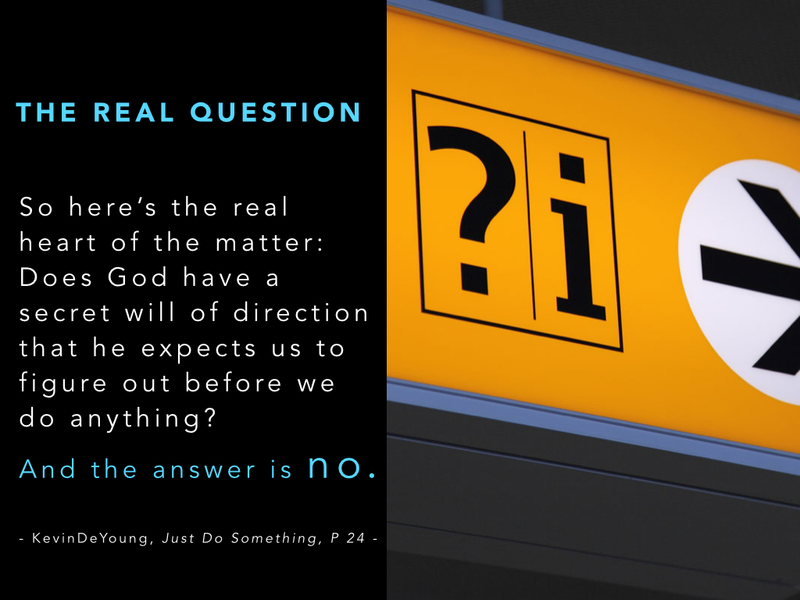 Instead of getting things done, many Christians—especially Christian young adults—are waiting around hoping for God to beam down an answer to their every directional query. God expects us to roll up our sleeves and love others—but we’re often too busy waiting around to discover who and where and when we’re supposed to love. Our top priority should be doing what we already know we’re supposed to do from reading the Bible. Also, many people have become discouraged with trying to discern the next step in God’s will. They agonize over decisions that God doesn’t address directly—no Bible verses to be found that say, “Thou shalt marry Bob” or “Thou shalt move to Maine” or even “Thou shalt take Calculus II.” (Although I’m sure most of us are glad about that last one not being in the Bible!) It is sad that something that is supposed to be so joy-filled and free as following Christ has become such a heavy burden–surely an indication that we are adding unnecessary regulations to decision-making! This is a sure-fire way to feel guilty and full of doubt for the rest of your existence, as you second-guess your way through decisions, wondering why God hasn’t revealed to you the next move. This miserable path is definitely not how God wants us to live! Finally, this Modern View is just plain inconsistent. Think about it. So, you’re supposed to find out before any decision—without a shadow of doubt—just what God wants you to do. Do you limit this to only big decisions? How do you know what is a big decision? What if what appeared to be an inconsequential choice turns out to be a life-changing event? Do you see the problem? To be consistent with this view, you’d have to decipher everything—and I mean EVERY thing! What grocery store to shop in, what color of shirt to buy, what pair of shoes to wear each morning, how many bites of breakfast to take…where would it end? Does God really want to micromanage these aspects of your life—aspects that He has given no specific command about? At this point, I’m hoping that you are all feeling the relief I experienced. A great burden is lifted! We don’t have to scout for a subjective word from heaven! We don’t have to agonize over equal options! There is freedom! So…if the modern approach is lacking, how DO we make God-glorifying decisions?